new singles and the announcement of their new album Olympus Sleeping, out October 26th. The four singles, the title track Olympus Sleeping, Sorry?, Japanrock, and Got To Let The Good Times Back In To Your Life can be streamed below. We’ve been away for a long time and wanted to give more to the fans than just one single. I’m really excited about the album and really excited about doing Razorlight again. Listening to these new songs feels like the return of an old friend. Their melodic guitars and Borrell’s youthful vocals makes you feel like its’s still 2008 and the band was never gone in the first place. For Olympus Sleeping, the band were joined on drums by Martin Chambers of The Pretenders, since their former drummer Andy Burrows went on to pursue a solo career. 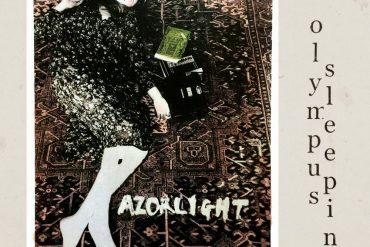 Razorlight were formed in 2002 in East London. Their debut album Up All Night was released in 2004. They made their international breakthrough with their self-titled sophomore record in 2006 that spawned hit singles such as In The Morning, Fall To Pieces and America. Their third record Slipaway Fires followed in 2008. Olympus Sleeping is available to pre-order as of now.